Welcome to our website. We hope you find the information you need here, but if not please give us a call at (985) 542-4675 or (337) 217-3225. We are always happy to talk to you. Our goal is for our customers to experience a professional staff who are equipped to provide the highest level of confidence. Confidence that the products and services recommended are the most appropriate for each individual's specific needs. Ready to get started on an insurance quote? Click here today! Protective Risk Agency will be here to help you through any emergency. Our customers are our friends, neighbors, business associates and the people we interact with on a daily basis in our community. We are here for you day and night whenever an emergency strikes. Coverage you need. Discounts you want. Being a locally owned company we specialize in the needs specific to southern Louisiana residents. 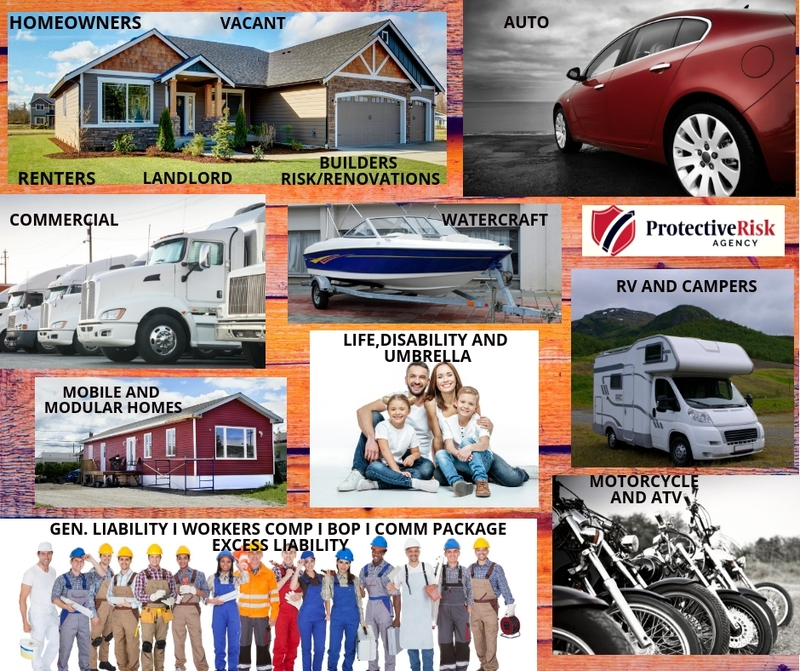 We've got you covered from home, auto and RV to commercial insurance, general liability and worker's comp. We also offer length of residency, good student, paperless, home and auto, EFT and snapshot discounts to help make our clients lives a little easier.